Almost immediately after receiving their new school-issued iPads this fall, students in Indiana and in California (and probably elsewhere) managed to bypass the security on the devices, “hacking” them for “non-schoolwork” purposes: listening to music, checking Facebook, surfing the web. The news made headlines last week, no surprise, considering the hundreds of millions of dollars that schools all over the country are spending on tablets—with the promise that ed-tech has made for decades now of better student achievement with more modern, more mobile teaching and learning opportunities. The Los Angeles School District alone, where some of this purported “hacking” occurred, has plans to spend $1 billion for an iPad rollout over the next two years that would eventually put a device in every student’s hands. But in light of the security breaches and other concerns about the project’s implementation, the district is rethinking the initiative. It recently announced that students will not be allowed to take their iPads home—one of the key perks of the sort of “24–7 learning” that mobile devices are supposed to support. With concern about cybercrime running high—especially after a summer of stories about Edward Snowden and the NSA—the news about the students and their iPads probably also made headlines because their actions were described as “hacking.” But is this a fair term for what the students did? At one LA high school, students simply discovered they need only delete the personal profile that the district IT department had created and they could gain full, unfettered access to their tablets. At another school, students found a way to stop their iPads from connecting to the school network that restricts the content they can download. Sure, these are “hacks” if you’re using the word to talk about a “quick and dirty technical workaround.” But in common parlance, “hacking” implies a break-in, a security violation, a national threat. It even carries a whiff of criminal intent. These are altogether the wrong implications. More akin perhaps to a “jailbreak” of their devices (although that term typically means the removal of Apple-installed limitations on the devices) the students wanted their iPads to work the way they expected them to. They wanted—and found—a way to gain access to what they think of as the normal web, including the sites and application that districts often block: social networks, games, and music-streaming services. CIPA, the Children’s Internet Protection Act, does require schools and libraries that receive federal E-rate funds to monitor minors’ Internet usage and to filter sites that are obscene, pornographic, and/or harmful to minors. But neither Facebook nor Pandora nor YouTube—all frequently blocked on school campuses across the country—fall into those categories, and it’s not clear whether CIPA extends to students’ usage of school-issued devices at home. Students, for their part, frequently cite the over-filtering of their school networks as one of the major impediments to their using technology to learn. Even though much of their unfettered iPad usage in these recently publicized “hacking” cases involved, as The LA Times put it “non-schoolwork” and as NPR dismissed it “entertainment,” it’s important to recognize how students do learn with technology. It isn’t simply a matter of a digital version of analog lessons and readings—something implicitly presumed by the Los Angeles’s school system's plan to “limit the tablets, when taken home, to curricular materials from the Pearson corporation, which are already installed." Students listen to music and chat with friends while they study. 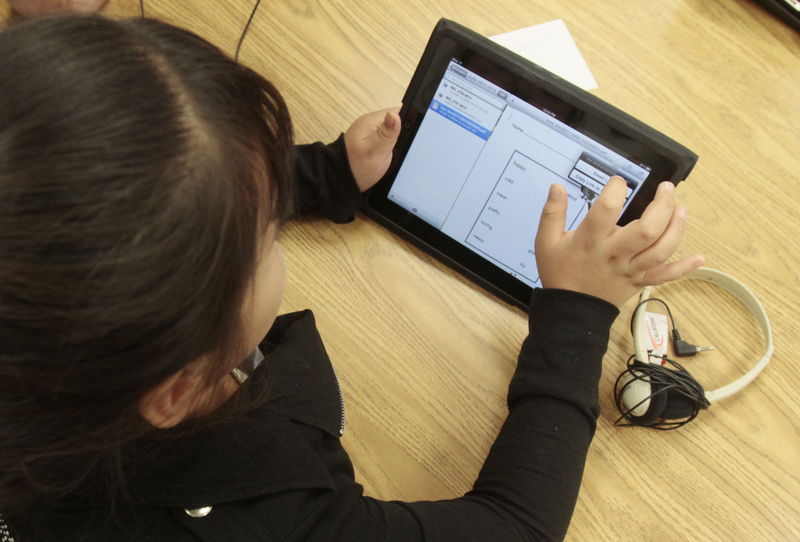 Their iPad “hack”—their work-around—demonstrates their desire, not to mention their ability, to do just that. It should prompt us to ask why we want students to have access—or not—to computers. Whose goals do computers meet? Apple’s? Pearson’s? The Department of Education’s? Or students’? But Papert’s arguments about “powerful devices” and “powerful ideas” and their capacity to transform teaching and learning run counter to the ways in which many schools view computers, even 35 years after the publication of his influential book. Computers are often viewed as a more efficient tool for testing, as an electronic and lighter-weight textbook, and so on. As school districts look to lock down students’ iPad access further, students in turn find themselves with less opportunity for this sort of mastery. This isn’t simply a problem with Apple’s mobile devices; it speaks to a deeper issue about how many schools (and technology and publishing companies) view education. Indeed News Corp’s education division Amplify has built a tablet that seems predicated on the stripping away of students’ agency and autonomy. The Amplify device boasts the ability of schools to track students’ usage habits at school and at home (in the service of “data-driven education,” of course) and to flash an “eyes on teacher!” warning on the screens of those who aren’t paying the right sort of attention in the classroom. “Programming the child” indeed. Whether we trust students with “powerful devices” or not, students “hack” back —and, let’s be clear, it’s not simply out of maliciousness. And unfortunately, whether we call it “hacking” or not, the students find themselves in trouble for doing so. According to the acceptable use policy for the district in Indiana where students purportedly “hacked” their iPads, any “misuse” of the devices—including “attempting to access or accessing websites blocked by the school’s internet filter”—“may result in disciplinary action.” Detention. Expulsion. In the days since the story broke about the Indiana and California students’ “hacking” their iPads, the districts’ poor planning and preparation has been roundly criticized. But more important perhaps than pointing a finger at any one security or administrative issue here, we should recognize that the real failure may be more widespread and more insidious: a profound lack of vision about how students themselves could use—want to use—these new technologies to live and to learn at their fullest potential.